Using your phone while traveling internationally can be an enormous and unexpected expense. Before you ditch your phone or cut your trip short, find out what travel experts recommend and how you can pay next to nothing to make calls while you’re out of the country. Whether you’re traveling abroad for a week or a year, you can save hundreds of dollars by making smart phone choices. Compare the pros and cons of these four phone service options to choose the best one for your trip. Can You Use Your Cell Phone as Usual When Traveling Internationally? This may seem like the easiest option for making calls when you’re traveling, but the primary reason that most people don’t use their cell phone as often is because of the high international roaming charges. On Verizon, you can be charged as much as $2.99 per minute for making calls when abroad. This means that a 30-minute conversation about your trip to see Mount Everest could cost $89.70 without an international phone plan. In addition to the cost, there are technical considerations. Most cellular carriers have roaming partnerships that make it possible to transmit calls via another company’s cell towers. However, mobile phone networks vary dramatically from country to country. For example, even if your phone worked during a trip to Oaxaca, that doesn’t necessarily mean it’ll work during a trip to Rio de Janeiro. The FCC recommends checking with your cellular carrier about international availability and device compatibility in each country you’ll be visiting. Will Swapping SIM Cards Help You Avoid Fees? Your smartphone’s SIM card is an internal microchip that can be replaced to turn your device into a local phone. By purchasing and installing a new SIM card, you can make calls like a local, and you’ll likely pay less to connect with that country’s cell towers. Before you consider this option, you’ll need to confirm that your device is compatible with the country’s cellular network. Notably, the differences between CDMA and GSM networks can cause connectivity problems. You’ll also need to ask your cellular carrier to “unlock” your phone, which can be more challenging than it sounds. Using a foreign SIM card will replace your device’s phone number with one that’s local to the country. This can make it easy to make local calls while traveling, such as travel reservations or calling for a taxi. However, calls to the United States will be charged at your new carrier’s rates. Plus, if people back home try to call you, they’ll be paying international rates. Additionally, you may need a separate SIM card for each country you travel through. Therefore, a trip between Norway, Sweden, and Denmark could require three separate SIM cards. Is Buying a Second Phone the Best Way to Have Service Abroad? A second phone lets you have dual technologies. You won’t change your U.S. phone, and you’ll be able to make low-cost local calls while abroad. If you’re spending a significant amount of time in another country, having a second phone can be useful. However, there are downsides. Not only will you need to carry around two devices, but you’ll also be dividing your tasks, using your new phone for local calls and reverting to your regular phone for other tasks such as emails and photos. As with swapping SIM cards, having a second phone doesn’t necessarily help you make affordable calls to the United States because you’ll still be limited to the international rates of your new phone service. Additionally, when family and friends in the United States call you, they’ll pay international rates. Is There an Easier Way to Use Your Cell Phone When Traveling Internationally? 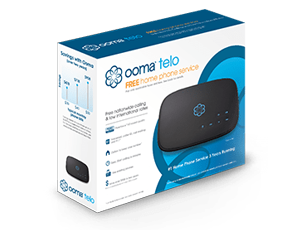 Ooma’s free calling app allows you to use Ooma internet phone service anywhere you go. You won’t need to shuffle any hardware or juggle new phone numbers. You’ll simply dial within the app, and your phone calls will be transmitted over your internet connection. 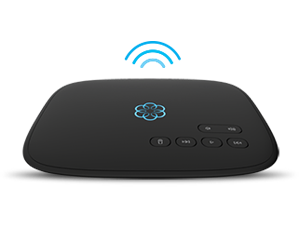 The app is available to all Ooma customers, and unlike other patchwork technology that’s only useful when traveling, Ooma can be used as a home phone, on your mobile device when you’re in the United States, or while you’re in any country in the world. Your Ooma phone number won’t change when you’re traveling, so you can stay in the loop about potential important calls. Additionally, since your phone number stays the same, your U.S. contacts won’t pay international rates to get in touch with you. Upgrading to the contract-free Ooma Premier service expands app access to include the ability to make calls as well as receive them. This means that whether you’re in Chicago or Cairo, you can use the app to freely call U.S. phone numbers for one low price of $9.99 per month. Premier also includes a set of advanced calling tools, such as the ability to fight back against robocalls, smart home connectivity, and more. Plus Premier expands unlimited calling to include the United States, Canada, Puerto Rico, and Mexico. Ooma offers low international rates that make it easy to stay connected while traveling abroad. Whether you need to call international numbers before your trip or while you’re traveling, Ooma charges just pennies per minute for pay-as-you-go service. When we compared Ooma to Verizon for 10 countries, Ooma’s international rates were 78 percent cheaper. In addition, unlimited international calling plans start at just $9.99 per month and can help you save with access to a wide set of global locations. What’s the Difference Between Wi-Fi and International Cellular Data? Cellular data is when internet transmissions occur via cellular service, which can be quite costly in international locations. Internet via Wi-Fi is when you connect to a local hotspot, which typically provides free, unlimited connectivity. Many seasoned travelers turn off their device’s cellular data usage altogether by switching their device to Wi-Fi Only or Airplane Mode. For internet service, public Wi-Fi hotspots are widely available, and additional access points are offered at hotels, restaurants, museums, trains, cafes, and more. Keep in mind that calls made with the Ooma app are transmitted over your internet connection, so connecting to Wi-Fi can help you avoid high international cellular data charges. Find out how Ooma can help you stay connected, no matter where your travels take you.